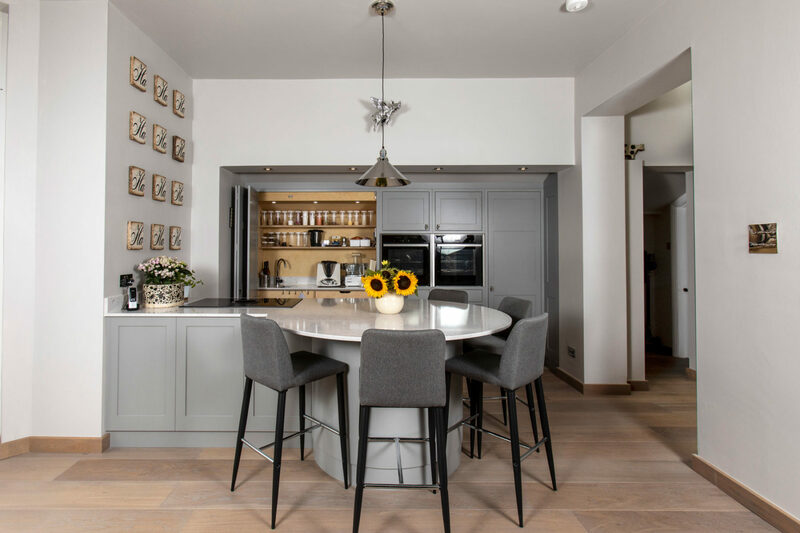 In the early part of 2018, we were asked by a couple in Bath to develop some new ideas for their kitchen space. 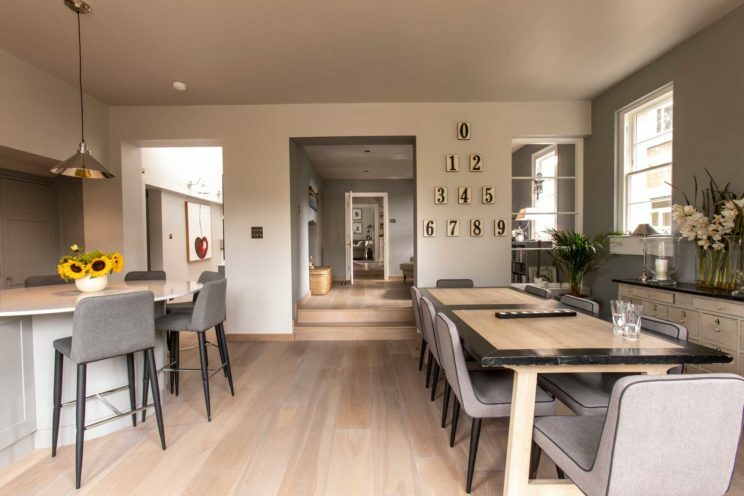 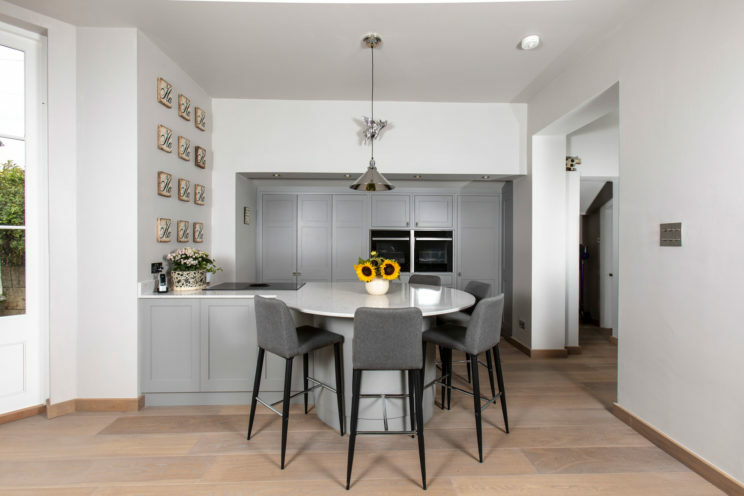 The couple lived in a listed home in the very centre of Bath and were in the middle of a large extension project that would see a new kitchen area and dining space being created. They were looking for a kitchen space, with plenty of storage, that could adapt to everyday living and times when they were entertaining guests. 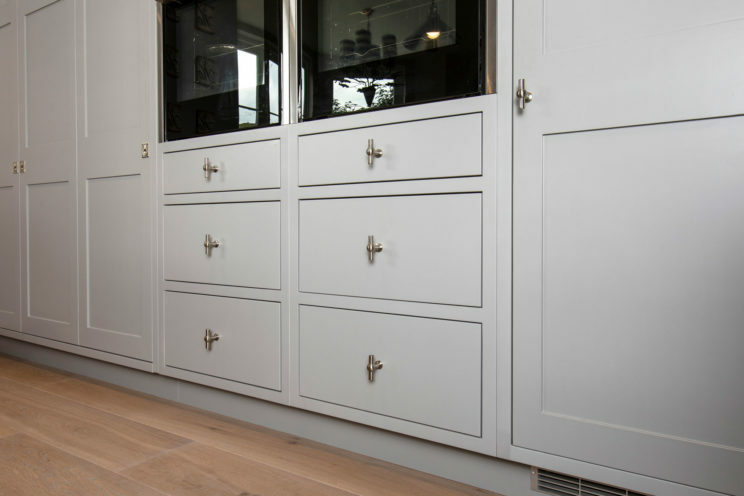 Some clever solutions and our bespoke cabinetry made this possible. In the prep and cook area, we fitted an integrated double NEFF cooker, NEFF stainless steel warming drawer and Fisher and Paykel integrated double dish drawer. Both drawers operate independently so different wash cycles can operate simultaneously to accommodate a variety of loads. 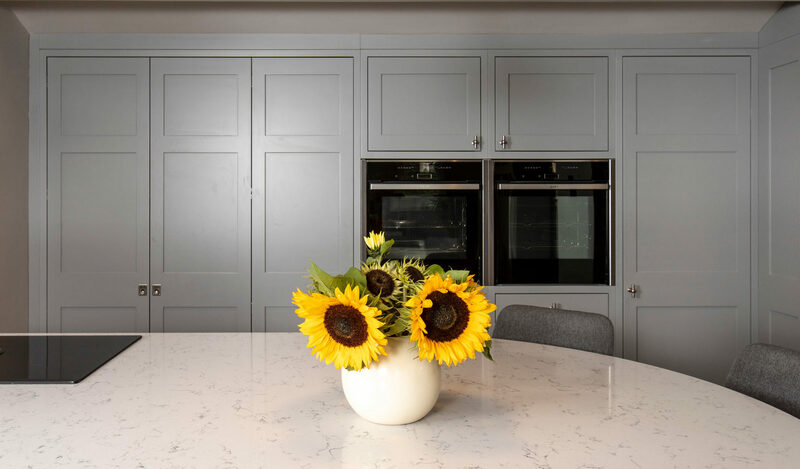 We also created a circular breakfast bar which flowed from the integrated Elica 2017 Nikola Tesla Hob, with its built-in extractor fan. 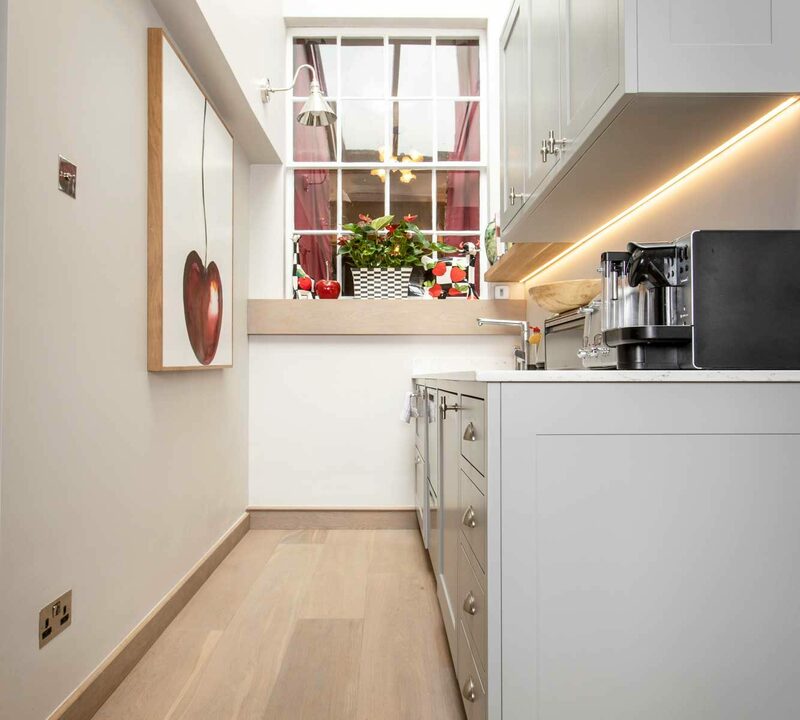 The perfect area for serving up breakfast and lunch. 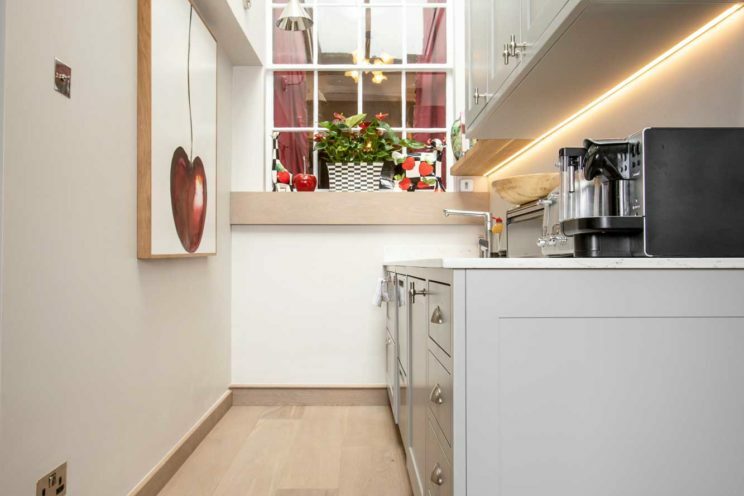 Around the corner from the breakfast bar, we created a run of Shaker kitchen cabinets and another sink area with a KOHLER under-mounted sink and Abode Kudos tap. 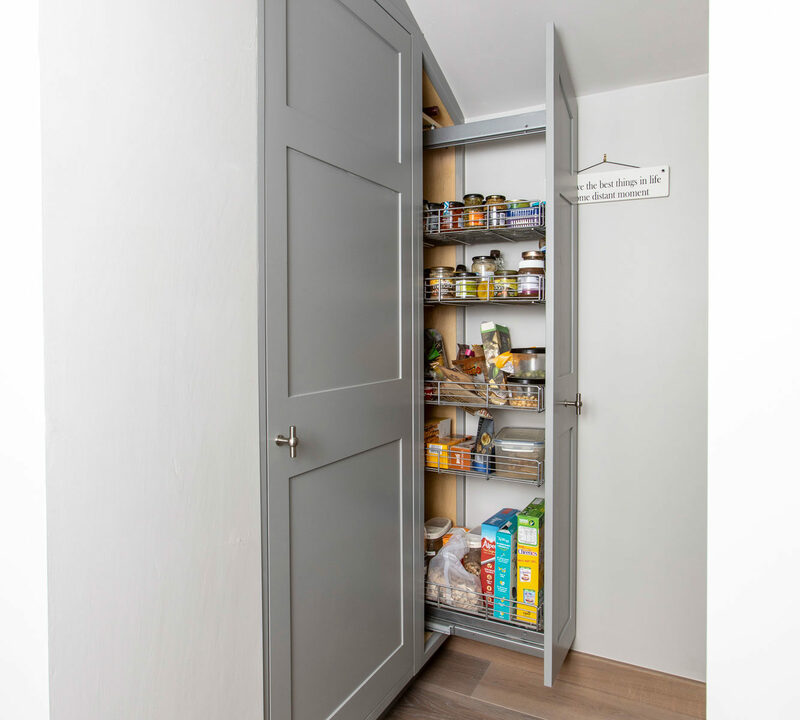 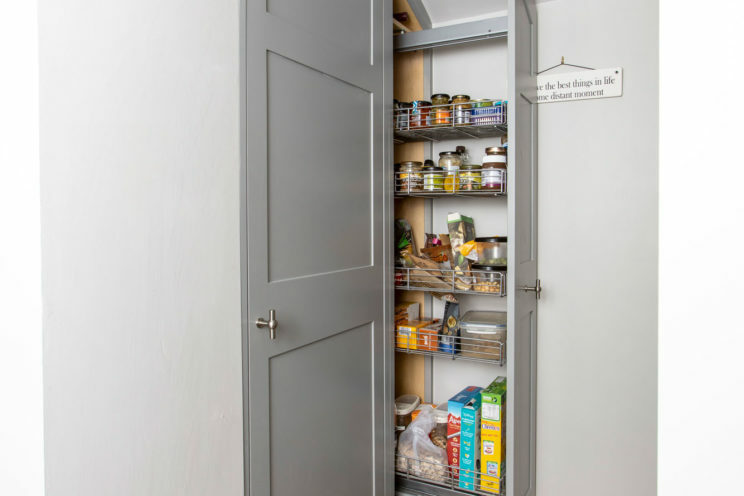 We also fitted a Siemens larder fridge freezer which complimented the pullout larder and storage cupboard we created to utilise the awkward alcove opposite. 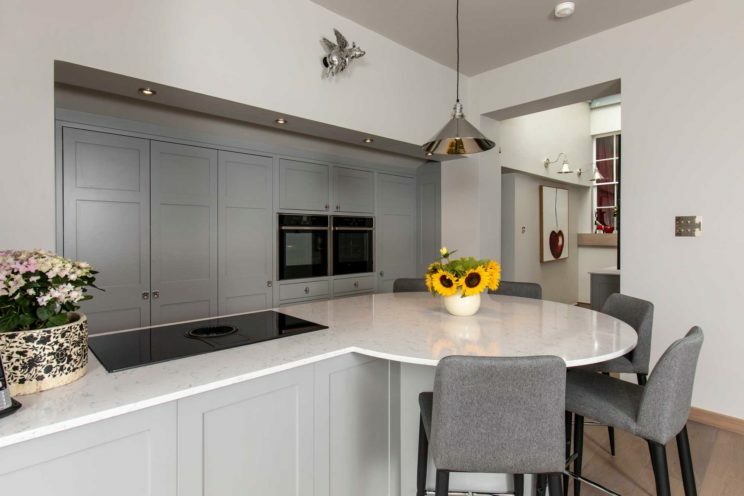 We were introduced to Bath Bespoke by Peter Higgins at Eton’s of Bath. 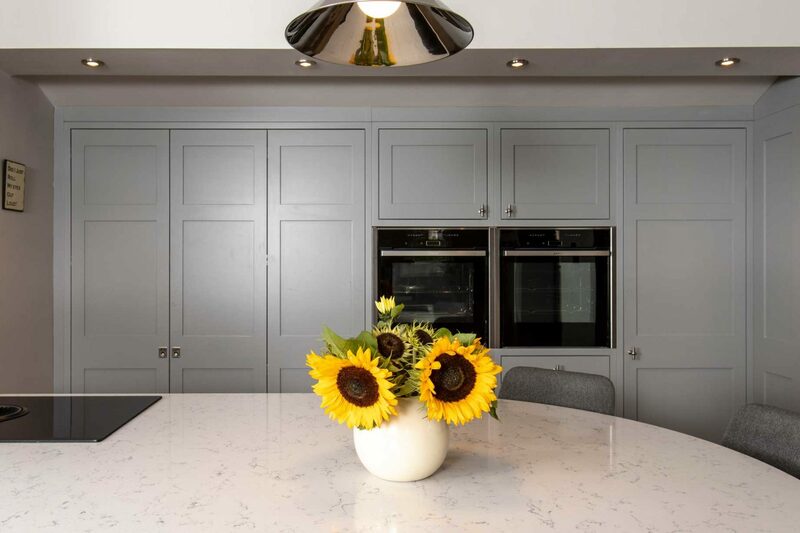 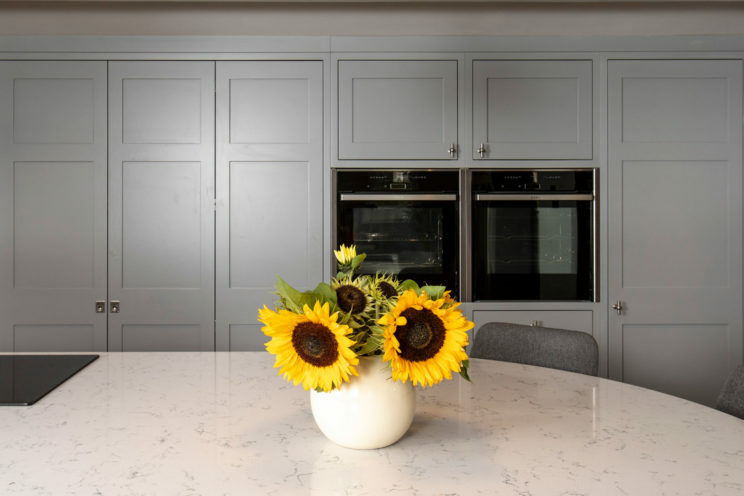 We have a beautiful kitchen and flooring and the attention to detail is second to none, we are delighted with the finished product…What matters most is that throughout, all of the staff are a joy to deal with the products used are of amazing quality and the end product is stunning.